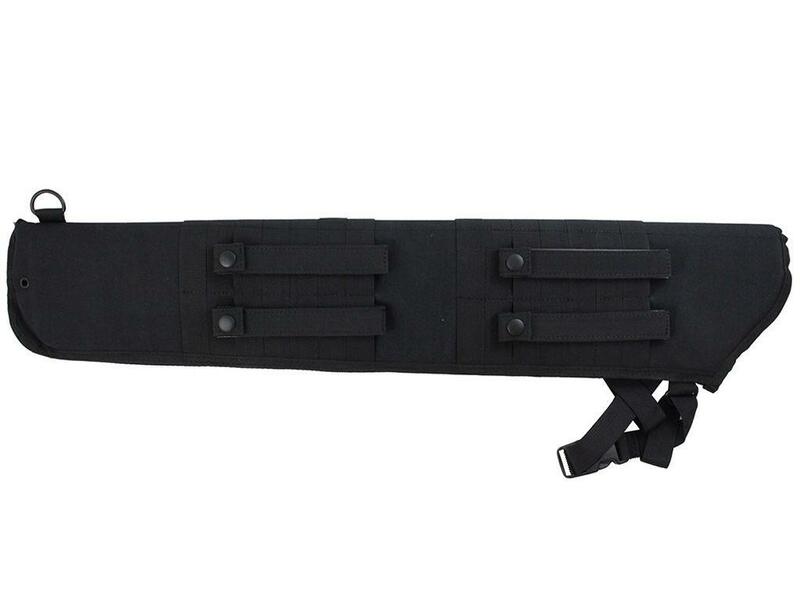 Raven X Tactical Shotgun Scabbard | ReplicaAirguns.ca | New Website! 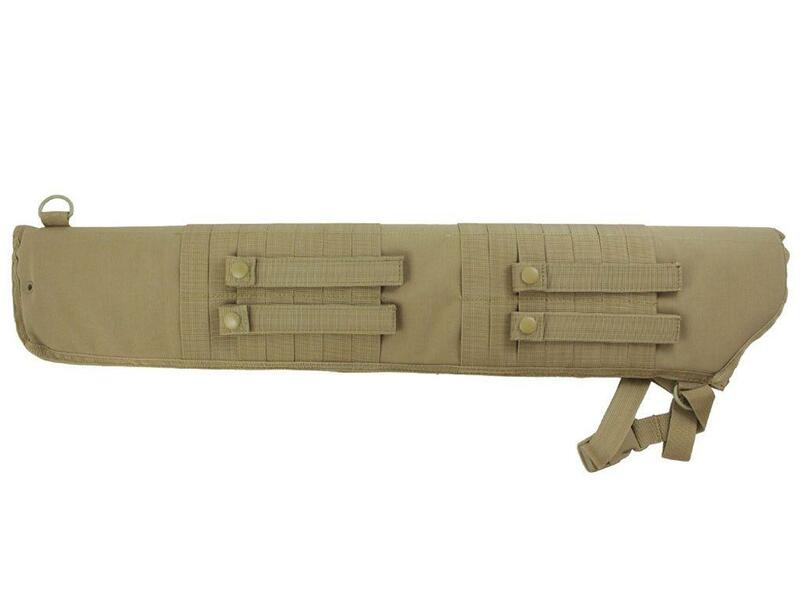 Comments: Keep your shotgun ready on the battlefield with this shotgun scabbard from Raven X. 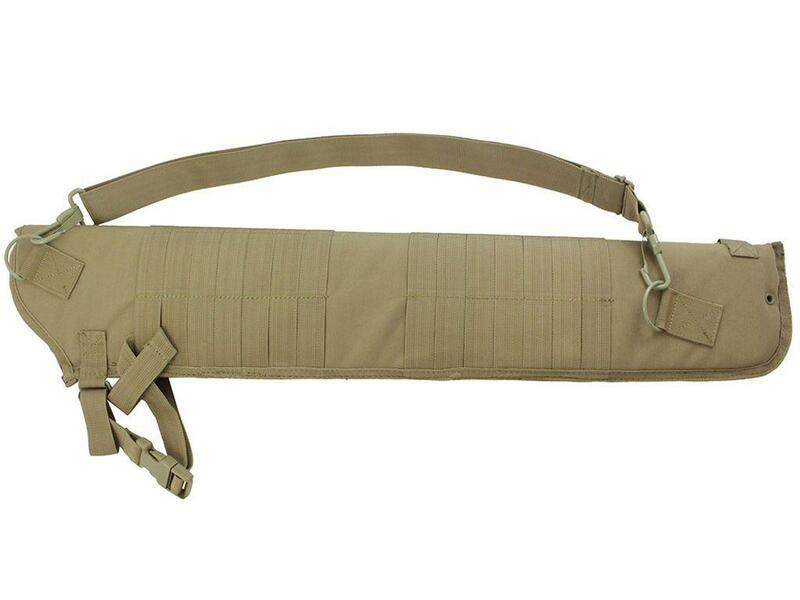 It has an adjustable/removable strap for shoulder carry and PALS straps for mounting on MOLLE compatible gear. 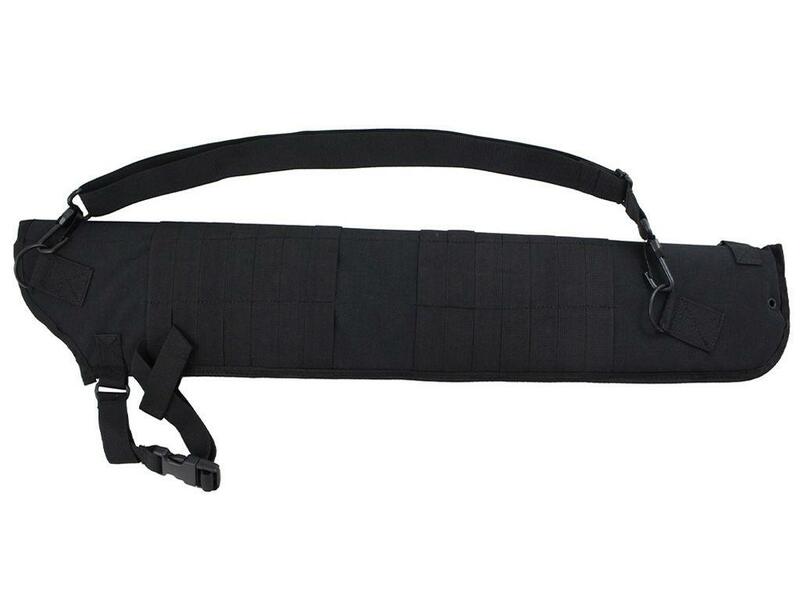 The 29" padded compartment is lined with MOLLE webbing to attach tactical pouches and shell carriers. This quick-release retention strap is adjustable to fit different shotgun models and sizes.